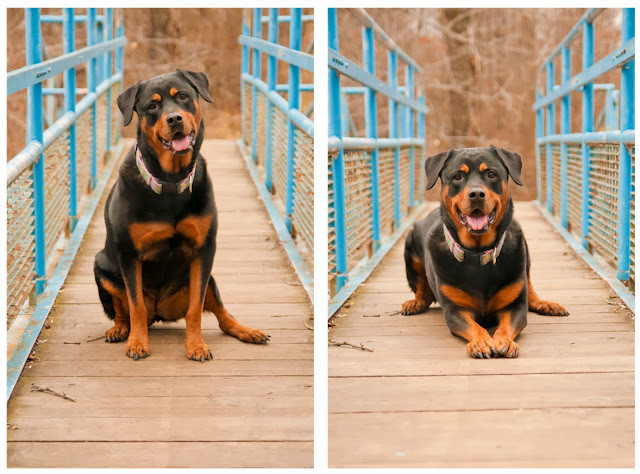 About A Dog Photography. 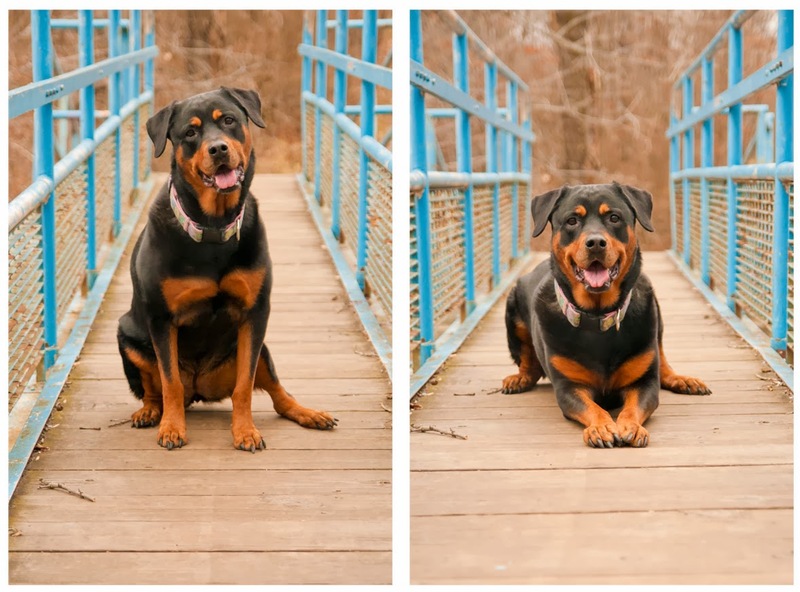 Dog photography. 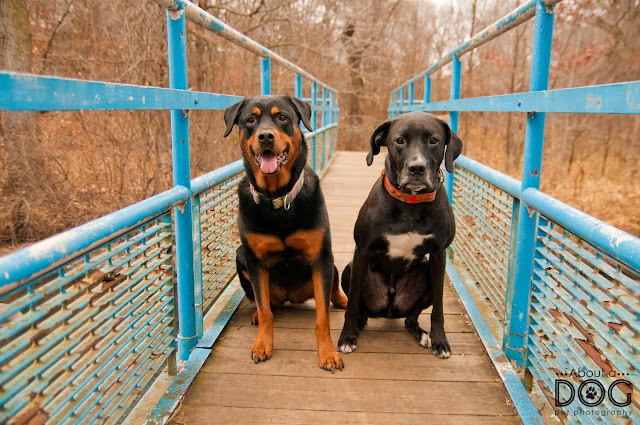 The photography of dogs.  Specifically the photography of your dog! heck if you're going to Hawaii I'll join you for an exotic beach session! This week's project was framed. I had thought of using an empty picture frame to literally frame the dogs, but instead I opted to visit a local park with a super awesome blue walking bridge. 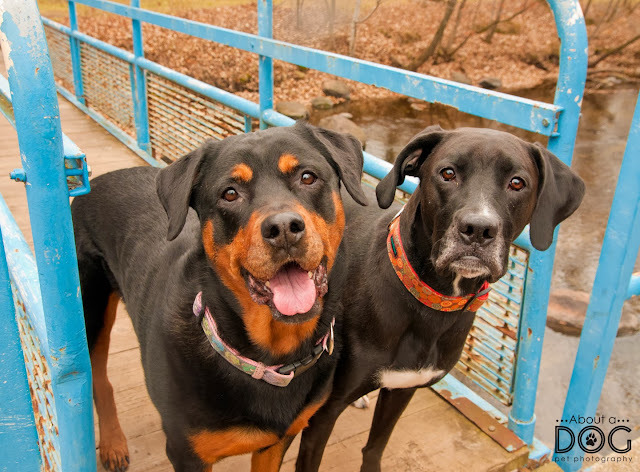 Axle and Icey were my models, and though they were pros, each insisted in being in each other's picture exactly when I didn't want them to be! Despite the photobombs and the nasty chilly wind, this location was amazing to shoot at! We also brought out 3 of Axle's new collars designed by the awesome Lisa of Josa Bloom (she's based in Colorado.) Icey was sporting her zombies on pink (also made by Lisa) while Axle showed off the multicolor swirl stripe on green, bright stripes on blue and orange circles on orange. I'm going to have to do a blog posting featuring each collar they have... Icey has 3, and Axle has 5... I might be addicted! Next up visit Deanna owner and friend (we met in Colorado this fall!) of Stink Dog Photography in Denver, CO! I love the colors! The bridge was the perfect location for this theme. Beautiful photos! 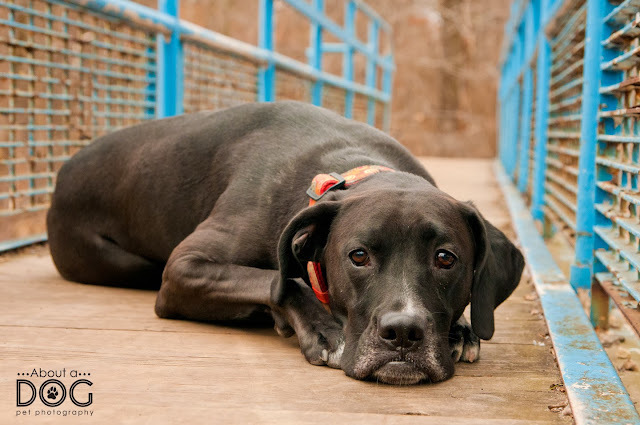 I love how you used the bridge in the photos, very nice. I especially love the last two photos, Axel looks pretty happy with the ball. the color of the bridge make the photos look so sharp! nice job! You are too kind my dear girl , too kind:) Thanks for the huge props!! Your pups couldn't be any cuter!! 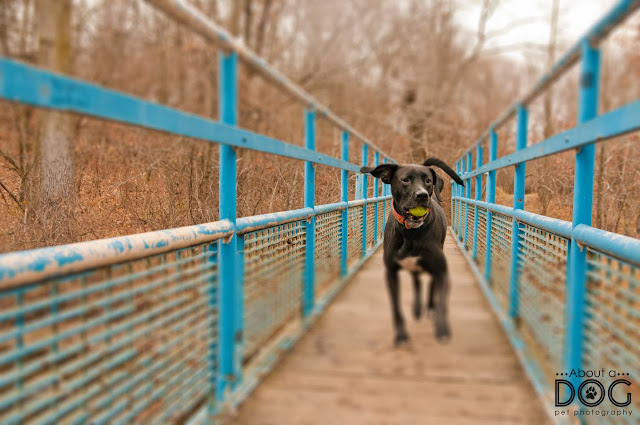 © Cahlean Klenke of About A Dog Pet Photography • St. Cloud Minnesota based dog photographer. Picture Window theme. Powered by Blogger.